This is the only girl from the litter and her future owners have called her Sky. What a little cutie. As Rhona picked her up for me to see she opened her eyes - perfect!! 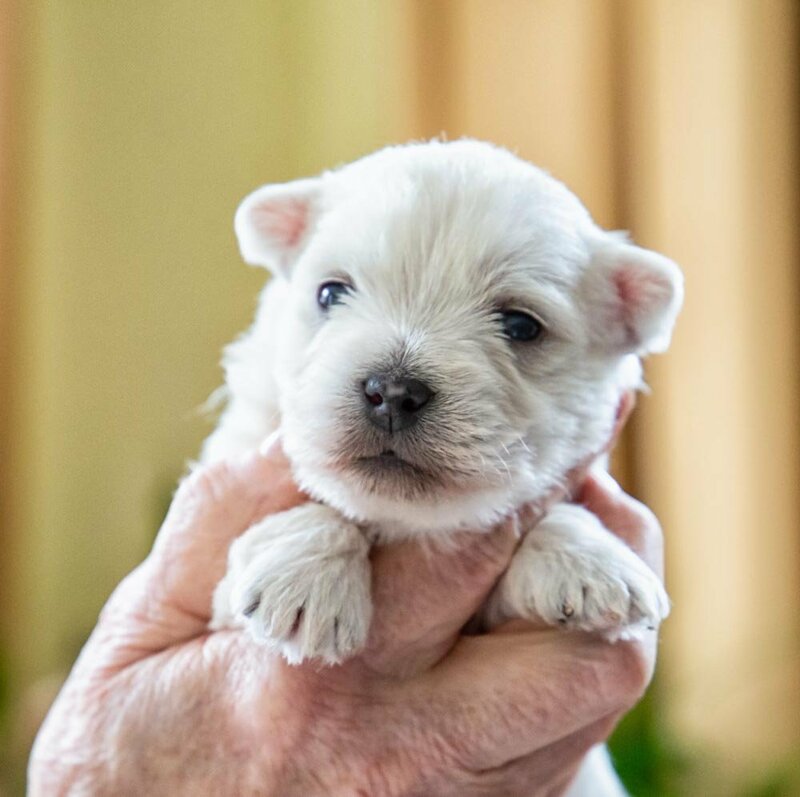 Sky is a Westie puppy - the same breed as Finlay and George. West Highland White Terriers. Oh big broody attack going on here! Is this your no 3?! @quietpurplehaze no Hazel I think Finlay would leave homecif I brought another puppy into the house! They are so jealous of each other so not another one! What are you doing back there? Not contemplating a mate for George? How very cute! She is totally cute. Lucky she’s taken! Cuteness on four legs. Are you adding to your household?